Alice LaPlante is an award-winning writer whose bestselling books include Half Moon Bay, A Circle of Wives, Method and Madness—The Making of a Story, and the New York Times bestseller Turn of Mind. She taught creative writing at Stanford University where she was a Wallace Stegner Fellow and in the MFA program at San Francisco State University. She lives with her family in Mallorca, Spain. "LaPlante knows how to ramp up suspense...Readers will grip their chairs to see if this wounded soul crashes or pulls up." 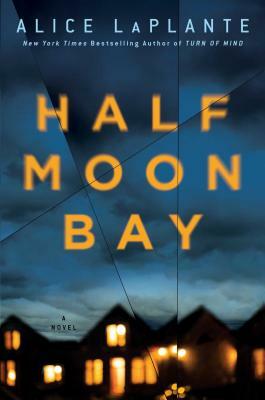 "The way that Alice LaPlante finesses this witch hunt-like thread gives the absorbingly macabre Half Moon Bay its underpinning of compassion."